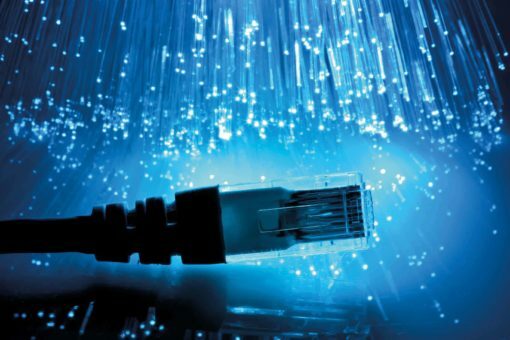 The more and more widespread use of optical fibres in communications is boosted by the growing demand for higher performance and speed. 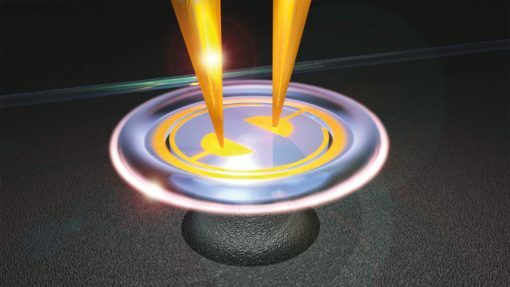 Optical fibres, conceived for fast communications on long distances, are developing also in manifold other industrial and commercial sectors, widening the applicative potentialities of photonic technologies. 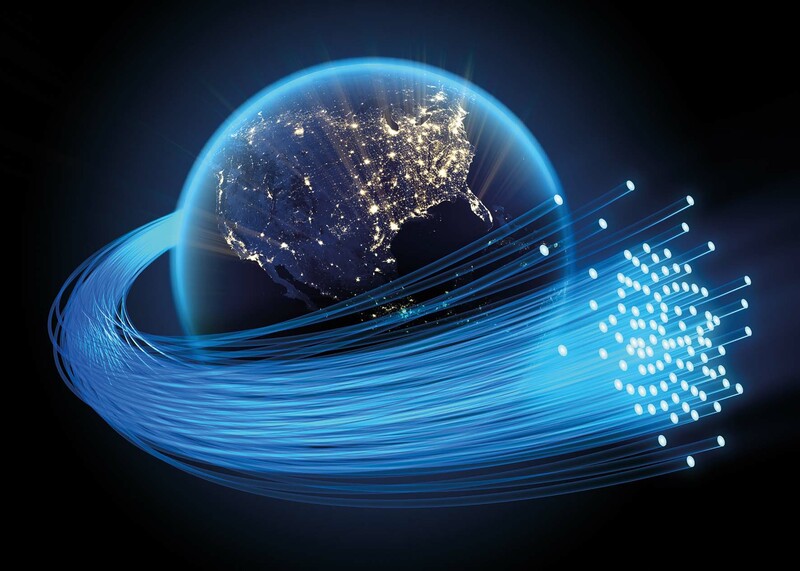 The more and more widespread use of optical fibres in communications is boosted by the growing demand for higher performance and speed. Therefore, we can obviously forecast a brilliant future for the optical technology but this statement, even if sharable, is quite generic, also because optical fibres are the base for applications in several other applicative contexts. 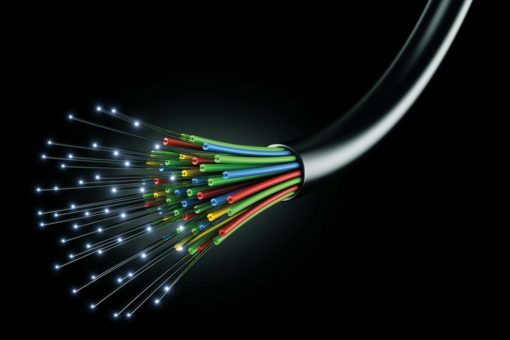 Market data are clear: from 3 billion dollars in 2016, in 2021 the global market of cables, fibre sensors and connectors will reach about 5 billions, with an expectation of 9 billions within 2025. This market can be variously segmented, for instance either according to the type of fibre or the material composing fibres, whether of glass, or better amorphous silica or plastic, or depending on the use ambit: communications, industry, defence, healthcare and security, ambits where optical fibres are then proposed for highly diversified applications. 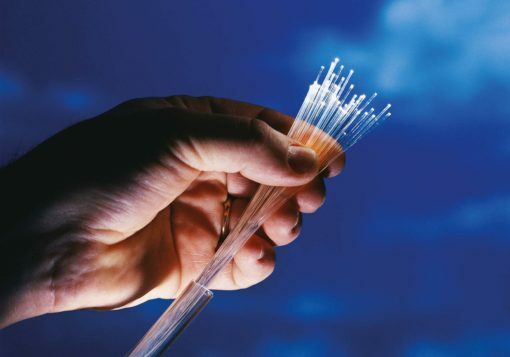 The market of optical fibres can be variously segmented, for instance either according to the type of fibre or the material composing fibres, or depending on the use ambit. An important future trend is called AON, All Optical Networks, where all signals will be processed in the optical domain without electric/electronic processing. The invention of the optical fibre cable is acknowledged to Kuen Kao and Hockham (1965) as result of a research aimed at replacing coaxial cables but just in 1970 Maurer, Keck, Schultz and Zimar, from the United States company Corning, discovered the possibility of implementing communications on long distances exploiting the reflection of light waves between core and cladding. Actually, nothing would have happened if a suitable light source for the signal modulation, i.e. the laser, invented in 1960, would have not been available. Since that time onwards, optical communications have gone on evolving and today an important future trend is called AON, All Optical Networks, with the fully optical data transmission: all signals will be processed in the optical domain without electric/electronic processing. Currently, both signal processing and switching/routing, that is to say the addressing of a signal towards a particular utility, occur in the electric domain: optical signals must be converted into electric signals before being processed and addressed to the expected destination and afterwards they must be reconverted into optical form, for the long-distance transmission. These conversions (O-E-O conversions) determine delays and overloads in the network, limiting the data rate. Therefore, we need optical switches and routers, and only limited AON functions have been implemented in commercial networks until now, to the extent that AON is really a technology of the future, as on the other hand highlighted by the generational subdivision of networks: first generation, only copper cables, with switching and routing performed by electric/electronic devices; second generation, transmission medium of fibre but switching and routing through electric/electronic devices; third generation, fully optical networks. Before a synthetic presentation of the devices for an AON, a hint at the most diffused transmission technique used in optical networks, WDM (Wavelength Division Multiplexing), where different carriers are used to transmit more distinct optical signals; more in detail, a multiplexer is used in transmission to send various signals together and a demultiplexer in reception to separate them. Currently, the most diffused transmission technique in optical networks is the Wavelength Division Multiplexing, where different carriers are used to transmit more distinct optical signals. Also transmission techniques are evolving, like in the case of the Dense Wavelength Division Multiplexing, aimed at increasing the quantity of transferred data, through a connection, in a given time interval. Referring to the devices for AON, the first is the optical amplifier, of 1R type (only Regeneration, signal regeneration), unlike electro-optical amplifiers that are 3R (Regeneration, Re-clocking, Reshaping), which act therefore on other signal parameters, hindering the complete transparency that is indispensable for the optical nets of the future. Still speaking of other devices: optical couplers, which split the light exiting from a fibre towards more fibres or recombine it into a single fibre; filters, which collect a particular frequency from a WDM signal; optical switches, which avoid the O-E-O conversion. If the target of the AON of the future is granting utmost speed and efficiency, also transmission techniques are evolving towards this goal, and it is the case of the DWDM, (Dense Wavelength Division Multiplexing) technique, aimed at increasing the available band, that is to say the quantity of data that can be transferred, through a connection, in a given time interval. The term “band”, however, refers also to an interval of frequencies (or also of wavelengths, since the wavelength is the inverse of frequency) and there are some bands where the signal loss is very low, like the C-band (1530 nm-1565 nm), and some types of optical fibres have been developed precisely to operate in this band where not only fibres but also the whole of transmission systems can operate more efficiently. DWDM uses the C- band, with a “dense” spacing of channels, which can be 40, spaced by 100 Ghz, or 80, spaced by 50 GHz. In short, we have the transmission on the same fibre of several optical signals with different wavelength, with a frequency modulation, hence the possibility of transforming a single fibre channel into manifold virtual channels. It is in course a constant growth of “sensing” potentialities of optical fibres and in the future a wider and wider use of optical fibre sensors will occur, for the precise and reliable measuring of physical magnitudes. Another trend, already in course but with strengthening potentialities, is ROF, Radio Over Fiber, where there is a mix of optical fibres and radiofrequency, with RF signals that modulate the light in one fibre. The conventional medium to transmit RF signals is the coaxial cable, undoubtedly heavy, cumbersome, of limited capacity, with signal losses on medium-long distances and sensitive to electromagnetic interferences, unlike optical fibres that are instead immune from them, and this is the winning plus. The central element of the system is the electro/optical modular that modulates the light intensity through RF signals; in reception, an optical/electric modulator recovers the RF frame, producing current signals that are proportional to the intensity of the received light. Among the ambits that are assessing notable advantages, it is worth mentioning avionics, especially due to the elimination of interferences and the lightness of cables, but also civil contexts, in buildings and in stadiums, where the big traffic capacity of fibres eliminates congestion problems. Among rising sectors, the one of self-driving cars, where they have started some experimentations on the use of ROF. Still speaking of the future prospects of optical fibres applications in communications, it is worth underlining the role played by standard organizations, which are fundamental to provide certain references to manufacturers and users in the development of products and solutions. An emblematic recent case is the IEEE 802.3cc-2017 standard for Ethernet 25-Gigabit communications on single-mode optical fibres, on 10 and 40Km distances, depending on specifications. This standard meets the requirements of higher speed of Ethernet connections, network widely used in industrial and commercial applications, providing indications about how proceeding to upgrades while minimizing installation times and costs. Different sensor typologies based on optical fibres have been available on the market for a long time but we can notice a constant growth of “sensing” potentialities, so that we can foresee in the future a wider and wider use of what was just a transmission medium for communications at the beginning, also for the precise and reliable measuring of the most various physical magnitudes, thanks to the most recent innovations in the optics field. As preliminary remark, it is worth reminding that the target of a measuring system is providing an indication about the state of a physical system, and this measurement needs a “sensor”, primary element of a measuring chain that converts the input variable into a suitable signal for the processing of the control part, generally producing an electric signal univocally linked with the initial magnitude. In the case of sensors based on optical fibres, any variation of the characteristics of the transmitted light becomes the medium to measure physical parameters such as force, pressure, temperature, speed and acceleration, parameters that in their turn can be referred to different phenomena appearing in the real world. The characteristic parameters of light signals are amplitude/intensity, phase, wavelength, polarization, time/frequency, and the variation of any of these parameters, caused by an external influence, determines the operational principle of that particular optical fibre sensor. The general principle is the following: a light signal is transmitted from a source, along the fibre until the sensor element that performs the “sensing” of that single defined parameter; the sensor modulates the light characteristics; the modulated light is transmitted by the sensor to a Signal Processing unit, with conversion into a signal that can be processed by a control system. Among the advantages of these sensors, the electromagnetic interference immunity (EMI) and radiofrequency ones (RFI), the elimination of eventual conductive paths in high-voltage environments, granted safety for explosion-risk environments, resistance to high temperatures, up to almost 1500 °C, lightness, miniaturization and low sensor consumption, very high sensitivity. These characteristics, which highlight the applicability of sensors to optical fibres wherever it is not possible to use conventional sensors, or anyway to obtain adequate performances, are widening their use in industrial environments in general, in Oil&Gas in particular, and in the construction field, to monitor potential yielding of structure parts. Various surveys highlight a market prospect growing by about 10% from now until 2020, which becomes 15% extending to 2023, with the prevalence of solutions dedicated to the continuous temperature sensing. 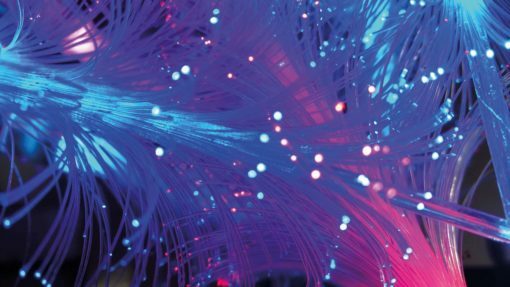 Optical fibre manufacturers go on researching and developing more and more performing optical fibres, and this is part of the fibre future, too. To make an example, they have recently standardized a new multi-mode fibre, called OM5, which promises higher performances than those at disposal until now. To qualify this novelty better, it is necessary a short synthesis of the OM, Optical Multimode, meaning, which until now provided for four degrees that take into account parameters such as physical sizes, attenuation, bandwidth: OM1, OM2, OM3 and OM4. OM1 and OM2 fibres are scarcely used as intended for LED light source now replaced by laser. OM3 are laser-optimized fibres with 50 microns of diameter, with EMB (Effective Modal Bandwidth) of 2000 MHz*km at 850nm, for 10Gbit/sec transmissions, whereas OM4, they too laser-optimized and with 50 microns, have an EMB of 4700 MHz*km at 850 nm, they are for 10Gbit/sec but on longer distances. The key characteristic of a multimode is its “modal bandwidth”, capacity of transmitting a certain quantity of information on a certain distance, and this is expressed in Mhz*km. 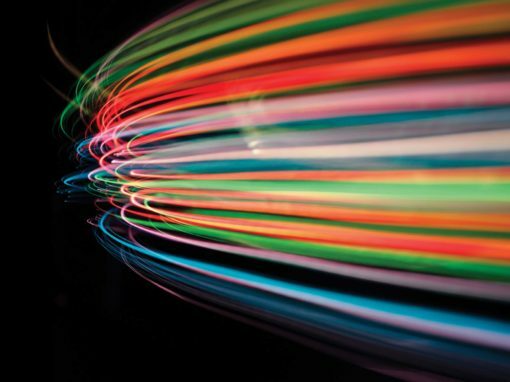 In the past, speaking of optical fibres meant mentioning an almost exotic technology, prerogative of sector players only; today they are a more and more pervasive presence. Concerning the EMB, since fibres are certified for determinate minimum bandwidths as guarantee of ensured performance, the test is carried out with the EMB (Effective Modal Bandwidth) method that replicates the real performance. Exemplifying, on a OM4 it is granted a minimum band frequency of 4700 Mhz*km, with laser light source with 850nm wavelength, which is one of the three optimal transmission windows: combining attenuation, refraction and dispersion, there are in fact three transmission “windows” with growing performances in terms of bandwidth and distance: at 850nm (800-900), at 1310nm (1250-1350) and at 1550nm. These synthetic notes highlight that many of the fibre performances depend on manufacturing processes, to obtain especially more and more precise refraction index profiles, without perturbations and defects. The evolution of implementation techniques has led to OM5, new multimode fibre called also WBMMF (Wideband Multimode Fiber), which supports the applications of future development thanks to the possibility of using the new SWDM (Short Wavelength Division Multiplexing) techniques developed to transmit 40Gb/sec and 100GB/sec. The future of optical fibres consists in an unstoppable expansion in a growing number of applicative contexts. 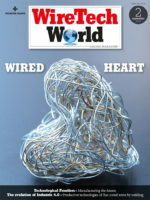 In this article, we have just hinted at the potentialities in course, privileging the contexts – the standard ones under certain respects – of communications and sensors, besides security, medicine and military, and without forgetting less sophisticated but important ambits, like lighting or the matching of optical fibres and fabrics to achieve new impressive effects. 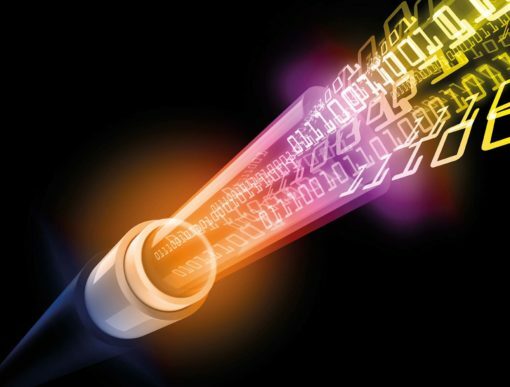 In the past, speaking of optical fibres meant mentioning an almost exotic technology, prerogative of sector players only; today they are a more and more pervasive presence.